Bring yours used or unwanted household items to the Community Environment Day event! 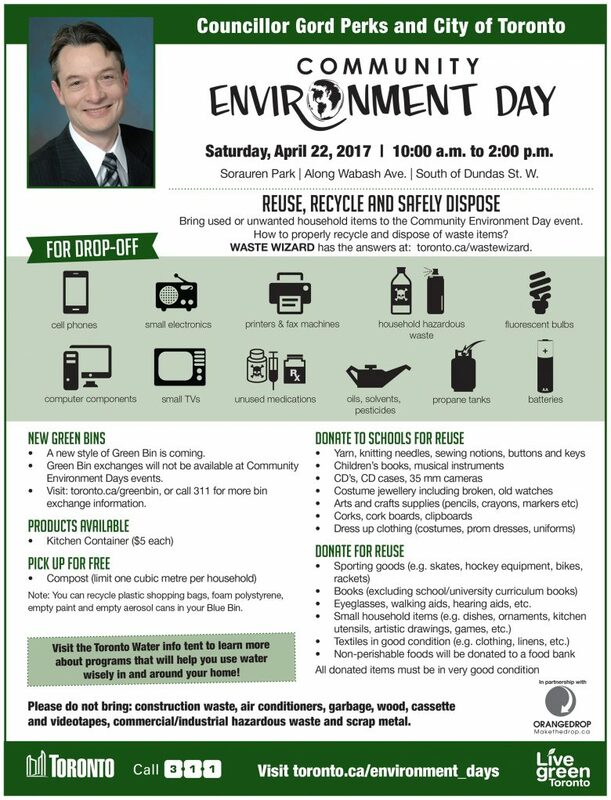 Learn about how to properly recycle and dispose of waste items and became part of the programs that will help you use water wisely in and around your home. Visit toronto.ca/environment_days for more info!